As a trained life coach, specifically coaching in health and wellness, Ashley found that as adults, we face many of the same negative social ideas and thoughts about our bodies that began during childhood. 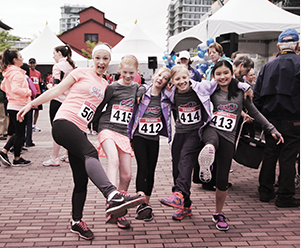 Ashley started running when she was 6 years old in her school kilometer club program. Growing up with mentors who were also runners, she sees the benefits of sharing the incredible sport that allowed her to develop running as a tool to stay healthy, set goals, and use as an outlet for frustrations! As an avid runner, Ashley runs marathons, half marathons, and triathlons around the world, recently she completing her 2nd Ironman and qualifying for the 70.3 Ironman World Championships. She started coaching learn-to-runs, to help people get active again and push their limits. The difference in the attitudes of the participants towards themselves and their bodies after they began running was incredible to see! 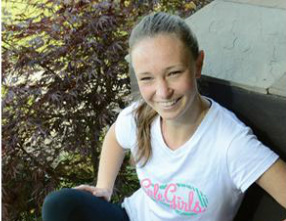 As an empowerment retreat leader, and trained as an NCCP level 2 athletics coach, CPR-C certified, and High 5 certified, Ashley is using all her skills in running, motivation, mentorship and coaching to empower girls to embrace their amazing selves and gain confidence in their appearance and thoughts! She is also building a team of incredible young leaders, teaching them leadership skills, communication skills and building their confidence as well.